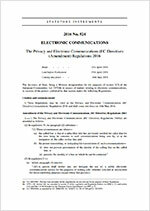 The Department of Culture Media and Sport recently published its consultation on requiring companies to show their CLI. The consultation is in itself not very helpful save to say that it may give you an insight to why the decision was made. Interestingly, 135 (76%) of the 170 contributors were members of the public. Cold callers will no longer be able to hide or disguise their phone numbers as the Government continues to crack down on nuisance calls. 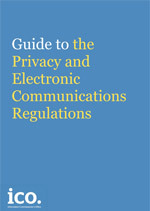 Baroness Neville Rolfe, minister responsible for Data Protection, is expected to confirm tomorrow that from Monday 16 May 2016, direct marketing companies registered in the UK will need to display their phone numbers when making unsolicited phone calls - even if their call centres are based abroad. Nuisance calls are incredibly intrusive and can cause significant harm to elderly and vulnerable members of society. The Government is committed to tackling this problem, which is why we are making it easier for consumers to report companies by forcing them to display their phone numbers. We’re sending a clear message to rogue direct marketing companies. Nuisance calls are unacceptable and we will not hesitate to take action against the companies behind them. This latest move by the Government follows news that a substantial number of fines totalling £895,000 have been issued by the ICO. 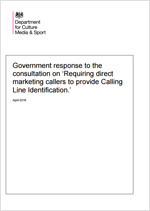 In 2015, this Government made it easier to fine nuisance callers by removing the need for consumers to prove that unwanted marketing calls were causing substantial distress and damage. Any change that makes it easier for us to track down and take action against companies making nuisance calls is a change that will reduce the annoyance these calls cause. We do investigate unscrupulous companies who hide their identities and we can track them down, but it certainly makes our job more difficult. And when people are able to identify the number behind the call they’ve received, they’re more likely to complain to us and that means we’re more able to take action. We welcome this move, which we’ve been consulted on throughout. This is another important victory in the fight against nuisance calls. 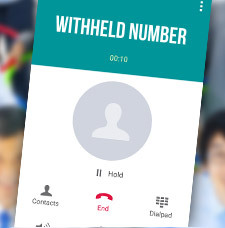 With marketing firms now being forced to display their numbers when making calls, it will make it much easier for people to report them and enforcement action to be taken when companies break the law. 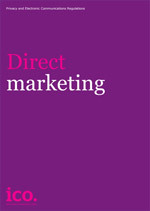 The proposed amendments have now been passed and the regulations on companies showing CLI’s for Direct Marketing calls comes into effect from 16th May 2016 as planned.